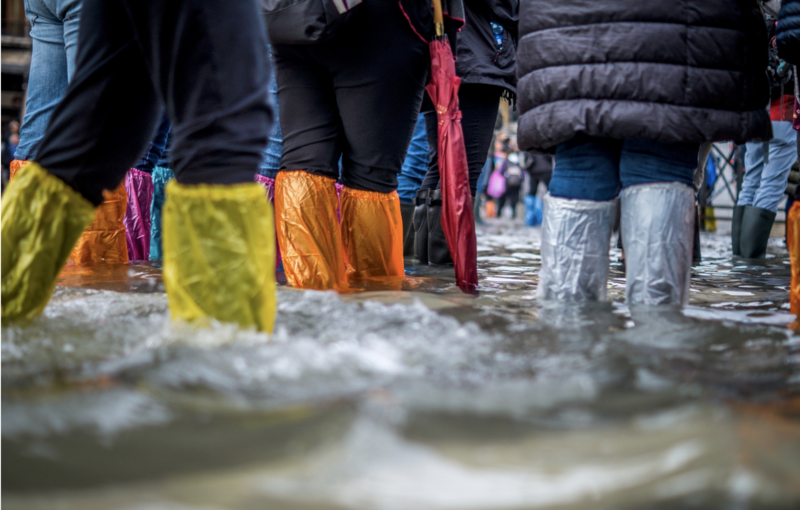 Living in Alaska, with the extremity of our weather changes and natural disaster risks, it is important to make strides to prevent a flood from happening in your home. It is preventable and something us Alaskans should take seriously. It is true – the pipes in your home can freeze. When your pipes get cold, they can burst which can cause major damage to your home and an emergency you won’t want to have to deal with – especially if the flood starts to freeze as well! It is important to always insulate your pipes and not to cheap out when it comes to it. Some insulation remedies aren’t enough to combat the cold temperatures that Alaska sees in a winter. There are more technologically advanced options that while they may cost more, will save a major headache and disaster in the long run. It is also important to be careful about what you are putting in your pipes. Some cleaning solutions and chemicals, if not flushed out thoroughly can end up clogging your pipes and cause them to burst. Not only are some chemicals dangerous to let drain down your pipes, but also hygiene products you may be flushing down the toilet. No matter if the package says “flushable” or not, it is best to stay on the safe side and to NEVER flush these products down the toilet. They can cause major clogging in the main sewage drain. If you see a leak happening in your basement due to these pipe issues, it is so important to act fast and call the plumber immediately. Quick action can end up saving you thousands of dollars! While waiting for the plumber to arrive, it is best to shut off your water and if you have a shop vac, vacuum up whatever water is sitting (and if you don’t have a shop vac, maybe now is time to invest in one). Time is of the essence! It is common for many home owners to store their belongings in the basement. When a flood happens however, many valuables or sentimental belongings can be ruined for good. Try staying away from installing carpet in your basement (tile would make for a better cleanup) and maybe include shelvings to store your important belongings to give them a better chance at survival if a flood does happen to come at any given notice.